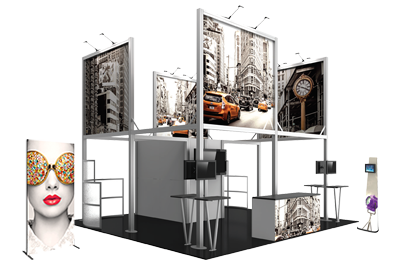 The Embrace™ Lite 10ft (4 quad x 3 quad) straight full height push-fit fabric display is an economy, collapsible display that features a basic frame, channel bars and push-fit fabric graphic. 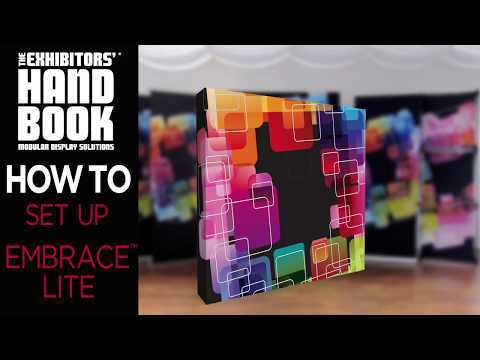 Simply expand the frame, attach the channel bars, apply the fabric graphic and you have a fast, seamless and captivating portable display for your tradeshow, event or advertising needs. No tools are required for assembly! A carry bag for storage and transport is included.